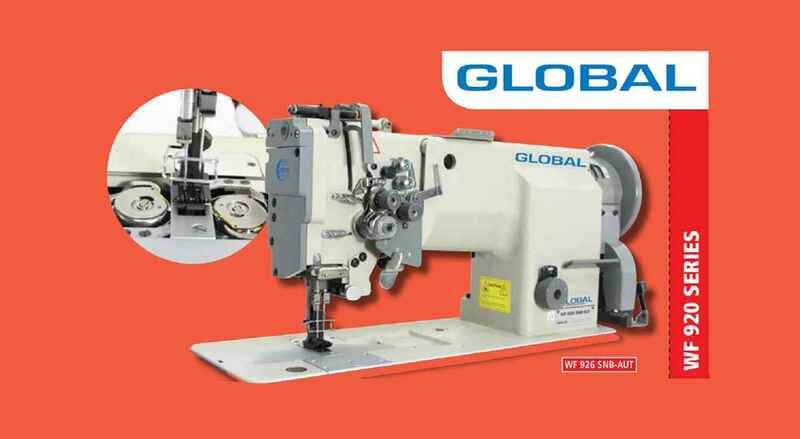 "Machine is equipped with standard pneumatic back tack and presser foot lift "
Single needle extra heavy duty walking foot sewing machine with large working space (76 cm) and extra large rotating hook. Specially designed for sewing tent cloth, sailcloth, heavy upholstery materials and belts. Machine is standard equipped with pneumatic back tack and presser foot lift. Double needle extra heavy duty walking foot sewing machine with large working space (76 cm) and extra large rotating hooks. Standard needle gauge 18 mm. Stitch Length 10 mm Max.